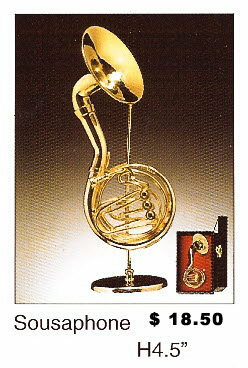 Miniature Musical Instruments - Sousa Phone [MIBR-007] - $18.50 : Metalcraft by Blair - military gifts and memoribilia. Instruments are made of metal and wood, these are really quality items, and make a great display gift.. you almost believe they will make music. An assortment of instruments to choose from for your presentation needs. 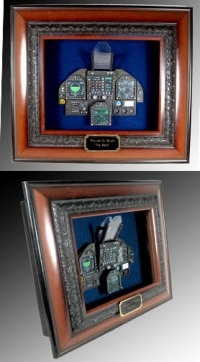 don't forget to add a name plate so as to personalize the gift --- IN MOST CASES ( not all ) THE ENGRAVED NAME PLATE IS FREE. ATTENTION HIGH SCHOOLS OR BAND GROUPS instead of giving a plaque or award that only has a persons name on it why not add the instrument they played (now that's personalizing an award) Most instruments are avilable-- if you do not see your instument call us to see if it is avail. 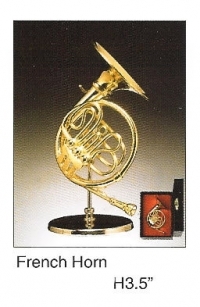 Miniature Musical Instrument French horn 3.5"